Tim and Samantha were married at The Grove in south Reno. Here are a few favorite photos from their wedding in October . . .
Congratulations to Tim and Samantha! I couldn’t ask for a nicer couple to photograph for my last wedding of 2018! What a way to close out wedding season! Although these two live in Midland, Texas, Hunter and Nicole chose to get married at Genoa Lakes Golf Club since Nicole grew up in Nevada. It’s such a pretty venue nestled at the foot of the mountains with breathtaking views. I loved photographing this wedding because it reminded me so much of my first years as a wedding photographer. The first three years in my business I photographed weddings in Lubbock, Texas while my husband went to school at Texas Tech. Wedding receptions almost always consisted of BBQ, the Texas two step, and a grooms cake which we don’t see much on the west coast! My mind flooded with memories from my first years in business as groomsmen referred to me as “ma’am” and wedding traditions I haven’t seen in a decade resurfaced. Hunter and Nicole were the sweetest couple and that was the icing on the cake to make this a fantastic and fun day! 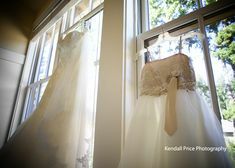 Here are a few favorites from their wedding at Genoa Lakes Golf Club. The day started off taking a few detail shots of things like the rings and vows before Nicole got dressed. 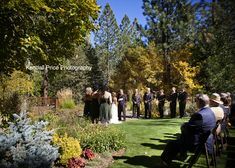 I love this ceremony site at Genoa Lakes Golf Club. The mountains as a backdrop can’t be beat and I LOVED this arch! After the ceremony, we took a few pictures of Hunter and Nicole . . .
Then we headed indoors for the reception . . . 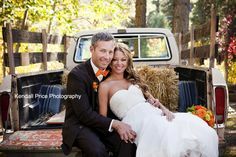 I LOVED photographing Aaron and Julia’s wedding at the West Shore Cafe in Homewood Lake Tahoe! It is always a treat when I get to work alongside some of my favorite wedding vendors and this was definitely the case at their wedding. Aaron and Julia were married in September which is always a gorgeous time of year. The weather is beautiful and the lake isn’t quite as crowded with tourists. After photographing their engagement session earlier in the year, I knew photographing their wedding would be fun because they let me in on a few surprises they had up their sleeve for their wedding. Here are some favorite wedding photos that help tell the story of their day . . . The day started off with both Aaron and Julia getting ready at the West Shore Cafe . . . I adore this bouquet from Petal to the Metal – the colors in it are to die for! Aaron and Julia were married on the lawn at the West Shore Cafe . . .
Julia surprised all her guests by arriving to the wedding ceremony by boat on the Wild Goose . . .
After the ceremony, Aaron and Julia got to take a ride out on the lake to enjoy time together before the party began . . . I loved all the details. The pops of peach and pink were exquisite! Music in Tahoe did such a great job entertaining guests during the cocktail hour and reception! Congratulations to Aaron and Julia! What a special, fun day you planned! Thank you for letting me play a role in it! 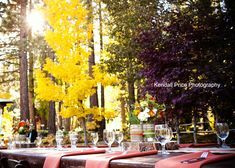 I loved photographing Lorean and Anisha’s wedding this past September at Toiyabe Golf Course in Washoe Valley. After photographing their engagement session at Lake Tahoe, I knew I was in for a treat! Here are a few favorites from their wedding day . . .
Getting ready at Toiyabe . . . I loved Lorean and Anisha’s ceremony site at Toiyabe with a view of the mountains as the backdrop! After the ceremony, we took a few quick photos around Toiyabe Golf Course . . .
Then it was time for the reception to begin and have some fun!